← Havana good time . . .
Last here in mid November for a long weekend without rugby owing to the atrocities that occurred in Paris on the 13th of November, it felt only right to me to be making the return trip to this rather beautiful town of Toulon in the South of France. Temperature 10 degrees higher than the UK and far sunnier (nothing tho compared to what I had left in Cuba last weekend however). Time flies so quickly and one can only live to regret. This time (Fri eve) last week I was in a deserted island – white sand crystal blue waters in the Caribbean. This week I’m in the South of France and next week I’ll be preparing my house in Bath ahead of it being photographed to go on the market on the 18th of this month – all being well. Pretty sure that the rest of this year will not be quite as jet set but it certainly feels like my feet have hardly touched the ground in 2016 thus far! We are in the same hotel and so the sights sounds and surroundings are, thankfully, all to familiar. I think that this helped in my decision to book to come out with Bath Supporters Travel without consulting friends if anyone else was coming too. Having booked it was great to hear that I won’t be ‘alone’. I tried a nap on arrival which failed miserably thanks to some maintenance work including a drill taking place in the next room just as I was nodding off. I headed out for a walk and a beer before heading to a familiar pizza place on the harbor for some food. The water appeared calm, yet the masts of the boats in the harbor were all dancing away. 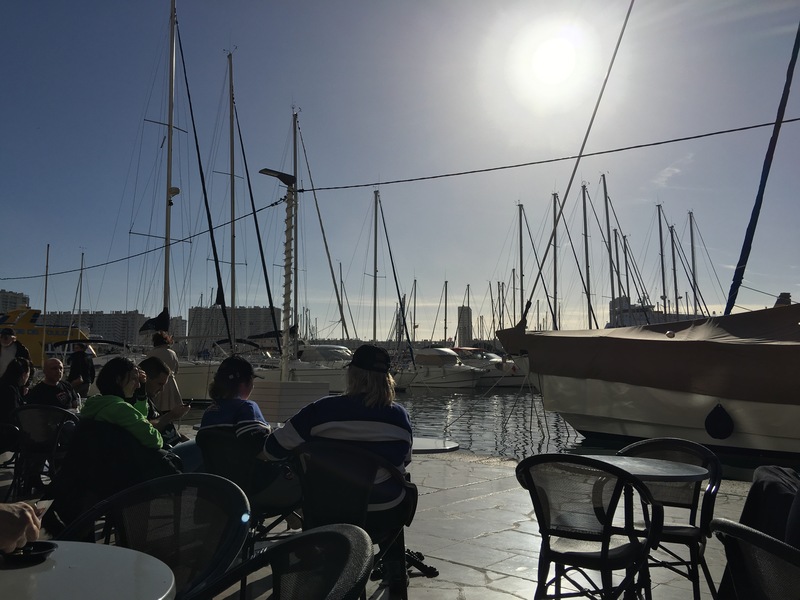 Sitting watching them all dancing around in the harbor did make me feel a little bizarre – couldn’t work out after a while (or was it the wine?!!) if it was me or the boats that were bobbing around when time came to get the bill! Saturday was a lazy day for me. I’d decided against the Supporters’ Travel trip to Marseilles and wine tasting as I wanted some relaxing time on my own and not to be rushing around like a loon. Having already been to this city I didn’t feel the urge to sight see. Instead I wondered around the harbor a little and had coffees and hot chocolates and people watched. By far the best activity. The day was somewhat overcast as well and so the photos would not have beaten those taken on the last trip. There were certainly not the mass of Bath shirts present in every bar and cafe as there were back in November and I had traveled over only with 17 others and not the previous 40 odd. it was rather sad but then also understandable that those that came last time might not have been able to have made the return journey. Match day finally came around and I sat in the Harbor with a beer before hand soaking up the match day atmosphere. There were many more Bath Supporters around town now in all of the bars and restaurants as well as the Touloun fans – the harbor had returned to the hive of activity that it was the last time that we were here. The sun was out – your couldn’t really ask for a more glorious day for rugby. My friend Virginie had driven all the way over from Montpellier (which I later found out was a 4 hour drive – had I known it was that far I would not have suggested her coming all that way!) and arrived about an hour before the game and so I waited for her in the Reception of the hotel as it was going to be easier for us to find each other there with the amount of people milling around. Once inside the stadium we found our seats relatively easily and caught up and took in the ground and the surrounding area. While the city is beautiful, I wouldn’t go so far as to say that the stadium has lots of beautiful views, its mainly several blocks of flats many of whom would have excellent views over the ground, for free! The seats were as uncomfortable as ever. I still don’t understand why the French stadiums never have the supporting back to the seats – just the scooped out seat. It was interesting to notice as well teat the crowd was once again fenced in. I assume to stop anyone from running onto the pitch either during or after the game? We had ordered our tickets from Toulon direct and so we were not surrounded by Bath fans, but there were a few dotted around us. Before the match was anywhere near started we had sung both of the National anthems of both teams. I found this rather strange but apparently it is what they do at Toulon before each European Match. We had a song that was sung by about 6 gentlemen int he middle of the pitch which Virgine had described as the song of the Provencal region. That seemed to go on and on and not a huge amount of audience participation but there were still quite a number of supporters from both sides to enter the stadium. 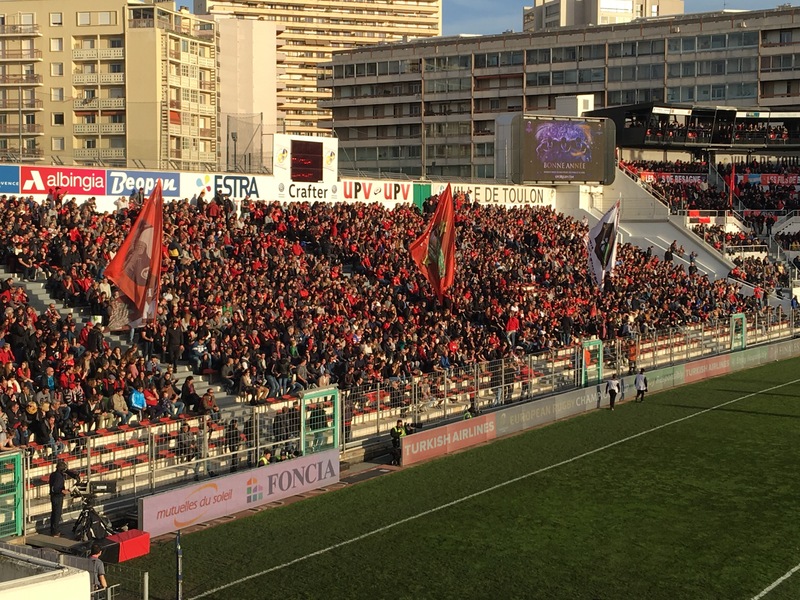 The final chant before the kick off was the Pillou Pillou essentially – Toulon’s version of the Hakka. I have no idea what he is saying or if indeed it is meant to be understood but it was sung/chanted by ALL of the Toulon crowd with him. And then kick off happened and we were under way. As per usual many confused looks from near by supporters over the volume of the shouting out of the mouth of a female, but I was, as always determined that the Bath boys would hear that though we might not be mighty in numbers we were mighty in noise and passion. A fairly even match was played and certainly a performance from the boys that as a supporter you could be proud of. We may not have ended up in winning but we showed that we CAN play as a team and show some passion, something that has been sadly lacking from our game as of late. Spirits weren’t too down heartened post match as we could have been slaughtered. Sadly we are highly unlikely to win or even come runner up in our group to progress any further in Europe this season, but then maybe that what we need a a team at the moment – just to concentrate on one competition? 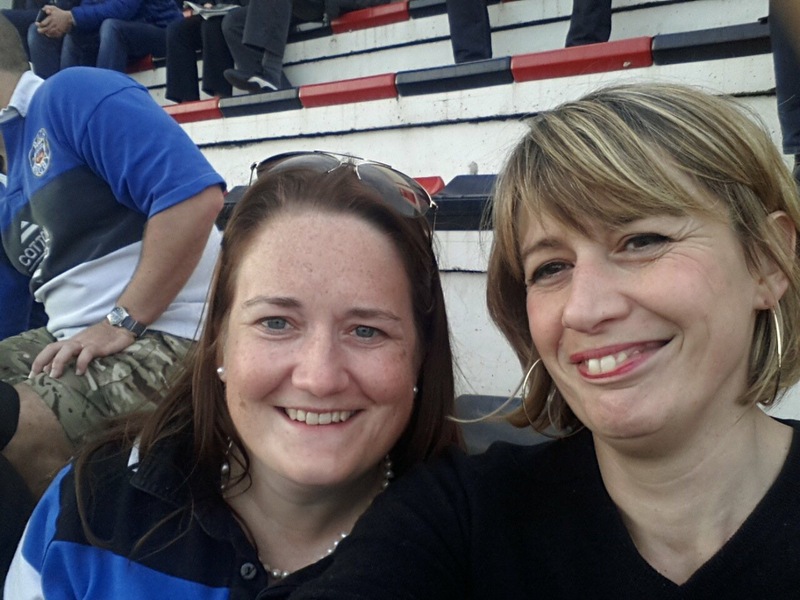 An early start on the Monday morning did not leave me partying all night on the Sunday evening, I spent some time with Virgine and her mother post match, followed by dinner and then bed for me whilst I left others to carry on showing the French how the Brits drink post rugby. The last European weekend of the season for me – I wasn’t heading on to Dublin next weekend. Who knows where we will end up next season supporting the boys, hopefully another new city to explore for me! 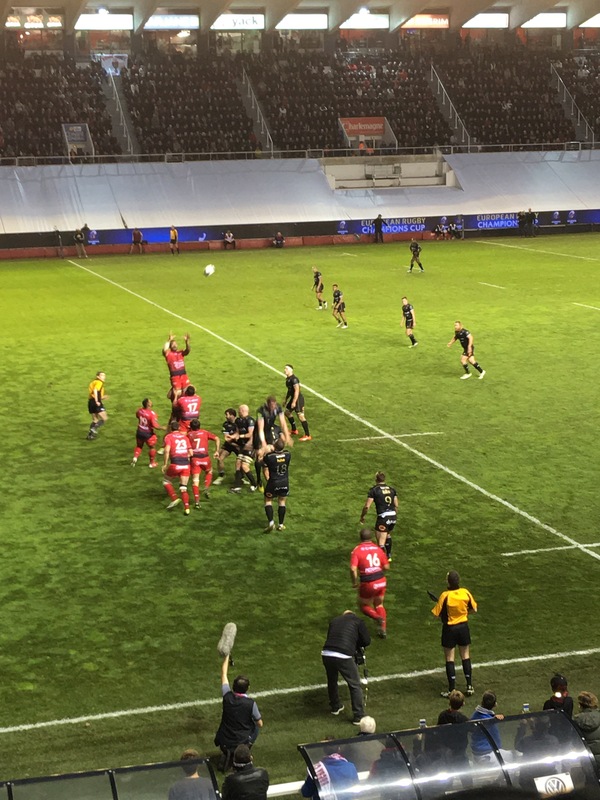 Posted on January 11, 2016, in Europe and tagged beer, harbor, pillou pillou, rugby, Supporters, toulon. Bookmark the permalink. Leave a comment.